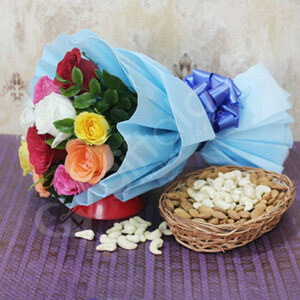 The packing materials such as basket, ribbon and wrapping paper can be used for decoration. 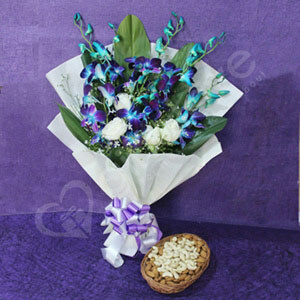 Green filler used in the bouquet is available as per its seasonal and regional parameters. Carnations can be used to garnish desserts as these flowers are edible. It is also known as Dianthus which means ‘Flower of the Gods’ in Latin. The best way to show love to your dear ones is by sharing lovely gifts with them!! 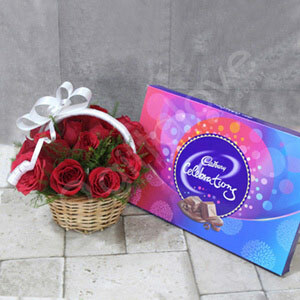 So, we have come up with this charmingly enticing pack of gift of flowers and chocolates. This gift can aptly be presented on any occasion. Hurry to order and enjoy the moment. I got this delivered just today. 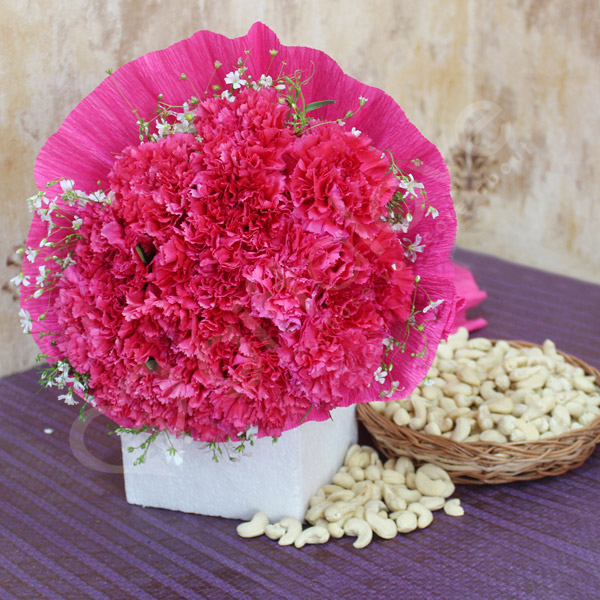 There are 10 carnations as the description says and the packet of cashews is also good. Packaging of all items was nice.